This year marks the 110th anniversary of the birth of Bucur Clejan, a Romanian doctor who worked in China during World War II. He has been called the Norman Bethune of Romania. 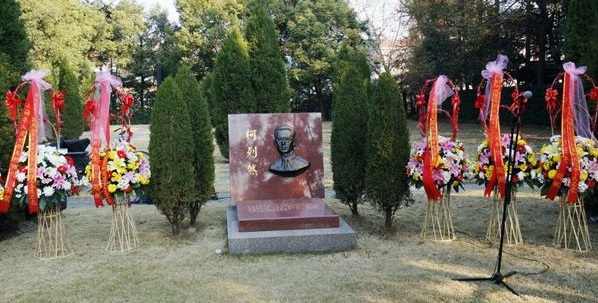 On Friday, a ceremony was held at the Soong Ching Ling Mausoleum in Shanghai to commemorate the life of the doctor and his wife Nelly Clejan, who passed away in the city in September. 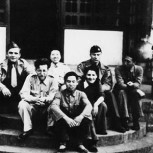 Clejan arrived in China in 1939 as a volunteer. 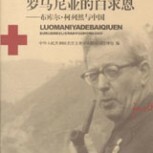 A dermatologist by training, he healed many wounded Chinese soldiers, trained other doctors and helped set up field hospitals. The Romanian doctor made the decision to come to China after he learned about the Chinese army’s serious shortage of medicines and urgent need of medical professionals. 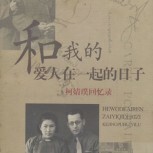 He spent more than six weeks traveling on the sea before eventually arriving in China in October 1939. 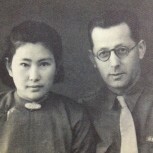 At Clejan’s request, his wife Gisela Clejan arrived in China in 1941 to assist with the work. 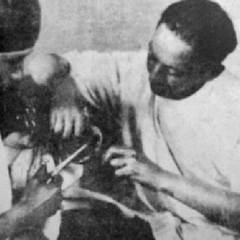 Unfortunately, she was infected with typhinia and passed away in 1943 at the age of 39. Clejan was also infected, but survived. 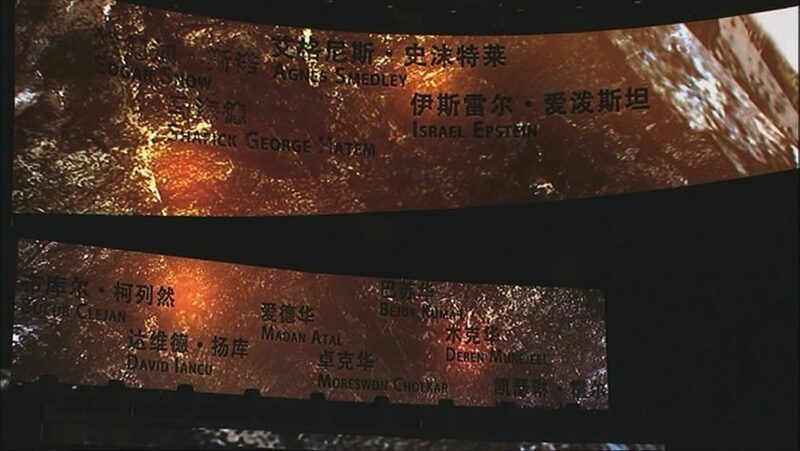 Tacu said Clejan paid a high price for volunteering in China, so his experience is a touching example of altruism and dedication, illustrating how people can forget about themselves and pursue a higher goal in life. 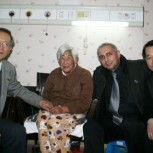 The Romanian doctor carried on with his volunteer work in China after his wife’s death. 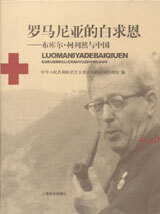 During the War of Resistance against Japanese Aggression (1937-45), he treated injured soldiers in war zones in Yunnan, Guizhou, Guangdong, Guangxi, Henan and Hubei provinces. After the Japanese surrendered in 1945, he started to take charge of the allocation and transportation of international relief supplies. 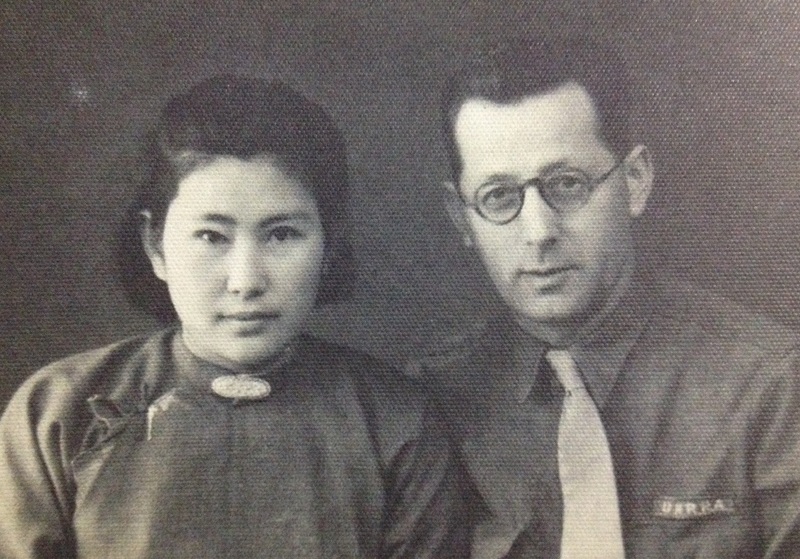 In 1946, Clejan married a Chinese nurse Zhao Jingpu, who later changed her name to Nelly Clejan. 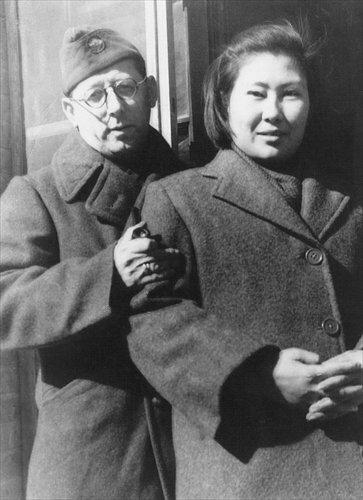 Their relationship set an example for the relationship between China and Romania. “The couple helped each other on a professional level and on a personal level. For our two countries, we also help each other, we support each other. And together we’ve been able to help others,” said Tacu. 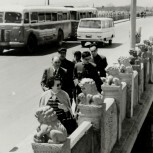 Clejan and his wife returned to Romania in 1948. But they didn’t stop their involvement with China. 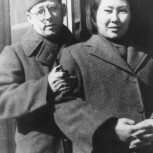 After the People’s Republic of China was founded in 1949, China set up an embassy in Romania, where Clejan’s wife offered her assistance. At that time, the embassy was in need of Romanian speakers. 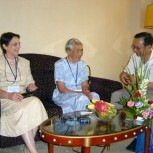 “She took charge of translation and communication. 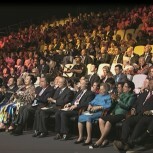 She also received visiting Chinese delegations. She always stayed strong, optimistic and humorous at work and in her regular life,” said Zhou Mingde, a friend of Nelly Clejan and a member of the China-Romania Friendship Association. 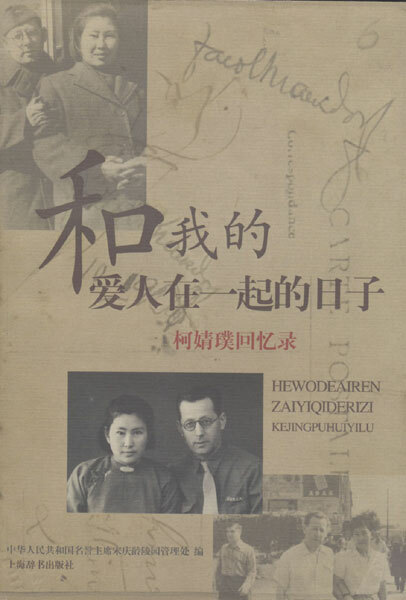 In 1957, Nelly Clejan helped launch the first Chinese-language magazine in Romania, called “Romania Today.” “In my opinion, Nelly Clejan was one of the earliest explorers of Sino-Romanian cultural exchange,” Zhou told the Global Times. Clejan died in Romania in 1975. 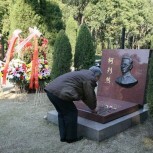 Eleven years later, his wife brought his ashes to China. 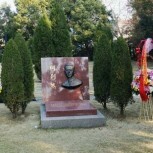 In 2008, his ashes were placed in the Soong Ching Ling Mausoleum. 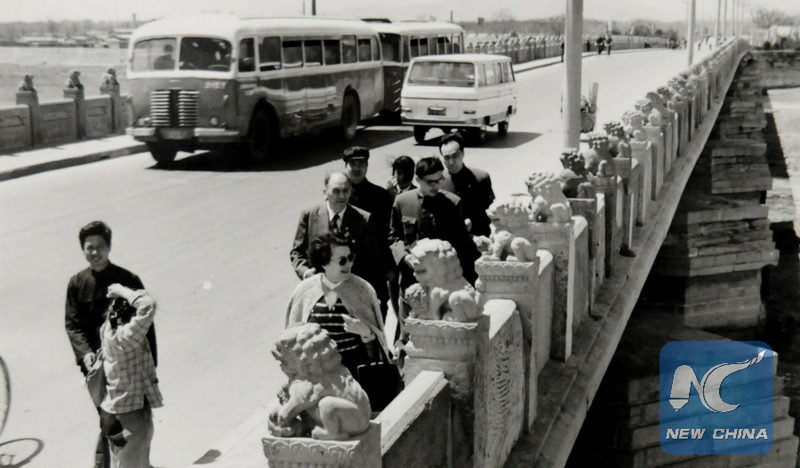 The Consul General said that people today should remember the doctor, who is a symbol of the friendship between Romania and China, and should also look at the couple as a symbol of peace and mutual assistance. “The younger generations should keep in mind their altruism, their dedication and the way they put their lives in jeopardy in order to help others,” Tacu said. 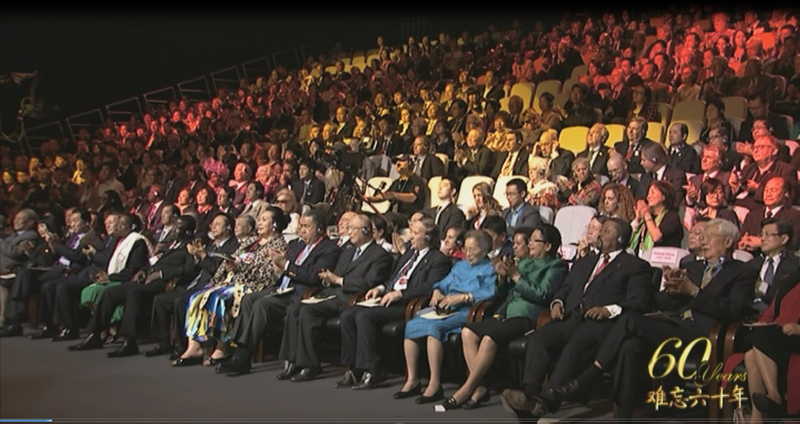 At the invitation of the CPAFFC, four family members of David Iancu, the late Romanian friend, paid a goodwill visit to Beijing, Chongqing, Kunming, Lijiang and Shanghai. David Iancu was born in Romania on April 15, 1910, and graduated from Iasi Medical College in 1935. 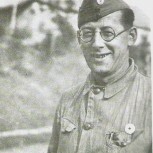 He joined the Romanian Communist Party when he studied in the medical college. 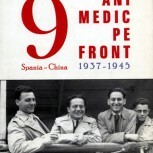 In 1937, sent by the Romanian Communist Party he joined the International Brigade in Spain and worked as a volunteer doctor. 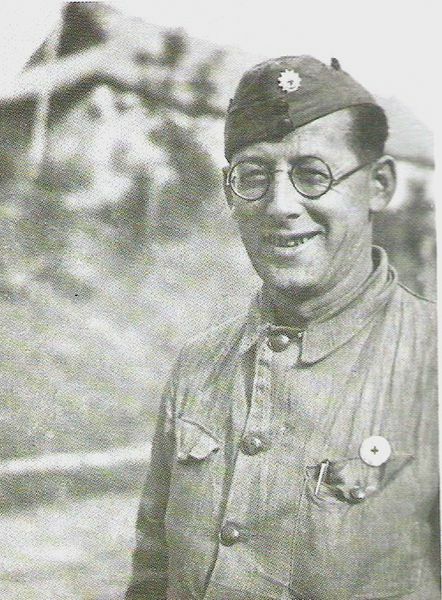 After the Republican Army suffered defeat in the Spanish civil war in 1939, he was arrested and transferred to the concentration camp in France, and then to Britain. 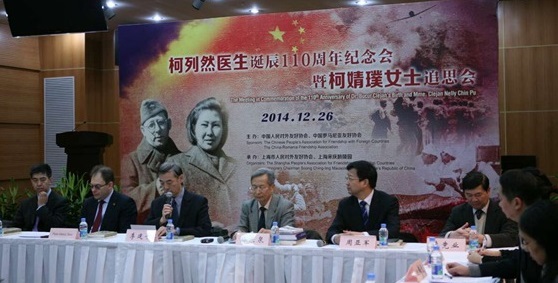 In the same year, responding to the call of the International Red Cross Society, he together with Bucur Clejan and other comrades came to China to take part in the War of Resistance Against Japanese Aggression. 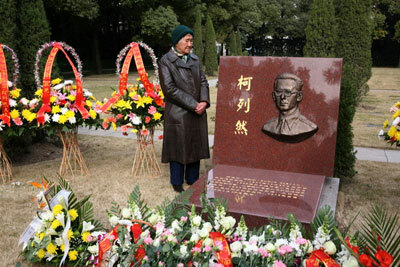 He was assigned to work in the area ruled by the Kuomintang (KMT). Day and night he treated soldiers for their illness who fought against the Japanese aggressors, and did operations on the wounded. 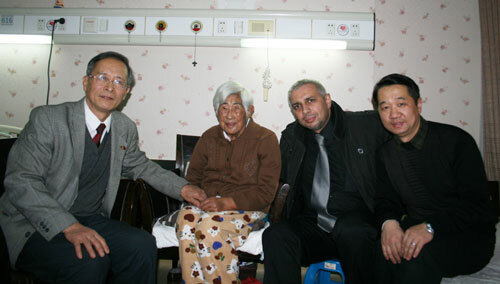 With the help of the local people he set up a hospital with his own medicines and medical equipment. 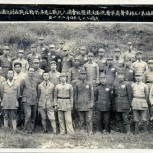 In 1941 Chiang Kai-shek provoked the Southern Anhui Incident that shocked the world. On learning the news Iancu got so irritated that he decided to work for the Eighth Route Army and the New Fourth Army. 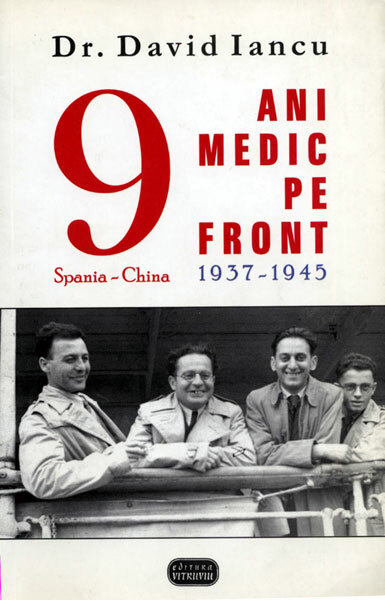 Iancu and some others, on behalf of the European doctors who were helping China, went to Chongqing to meet Zhou Enlai, and asked to be sent to work in the liberated area. 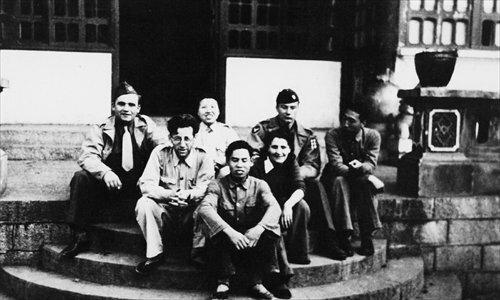 Persuaded by Zhou Enlai, Iancu and others returned to the area ruled by the Kuomintang to continue to train Chinese medical workers and treated and cured wounded soldiers and civilians. 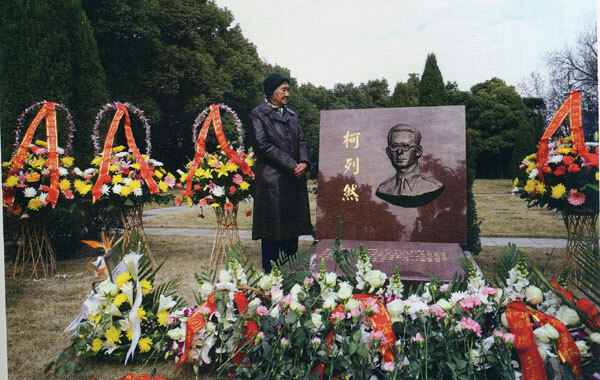 Meanwhile, they kept in touch with Wang Bingnan, representative appointed by Zhou Enlai, till the victory of the War of Resistance Against Japanese Aggression in 1945. 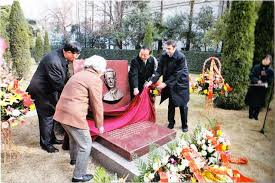 He returned to Romania in 1946 and passed away in May 1990. Invited personally by Chinese President Hu Jingtao, and specially cared by State Councillor Tang Jiaxuan, Iancu’s four children visited China. 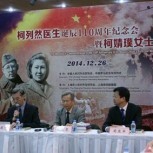 Tang Jiaxuan and CPAFFC President Chen Haosu respectively met with and entertained them. 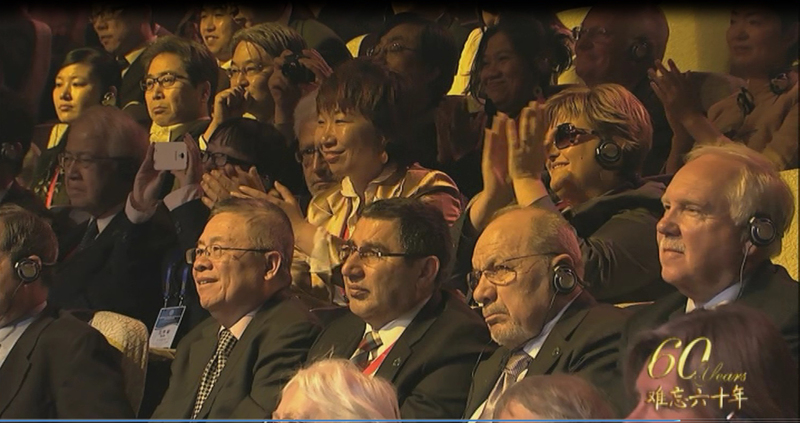 Tang expressed his welcome to their visit to China and conveyed President Hu’s regards to them. 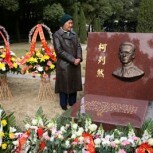 He spoke highly of their father’s dedication to the cause of China’s liberation. 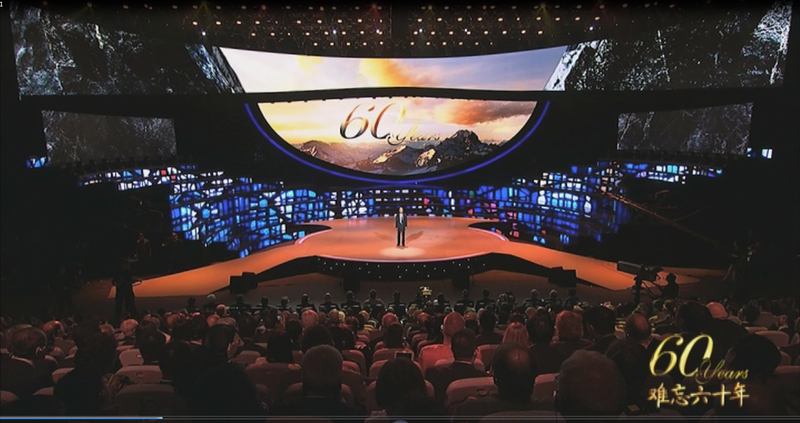 Tang said that the Chinese people would never forget Iancu. Tania, Iancu’s second daughter, was very excited at the meeting, and expressed her thanks to President Hu for his invitation, to the Chinese people for not forgetting her father, to State Councillor Tang for meeting with them in the midst of pressing affairs, and to the CPAFFC for arranging for them a rich and colorful itinerary of their visit in China, which enabled them to gather together in Beijing and had a chance to see the places where their father had lived and worked, especially for arranging for them to meet Nely Clejan, widow of their father’s comrade-in-arms Bucur Clejan. 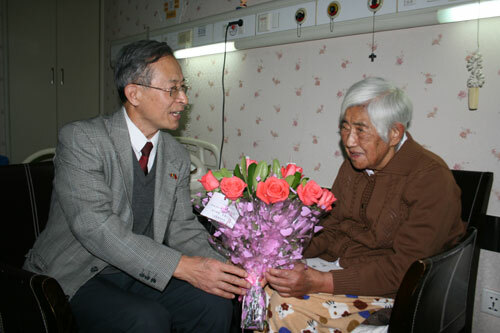 After the meeting, she presented CPAFFC Vice President Su Guang a photo of her father taken together with other European doctors in China in the 1930s and a certificate letter written by Chen Jiakang for Iancu, and asked Su Guang to pass them to the Chinese Military Museum. 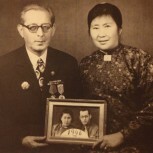 Iancu’s son and daughters also visited Chongqing and Yunnan where their father had once fought. 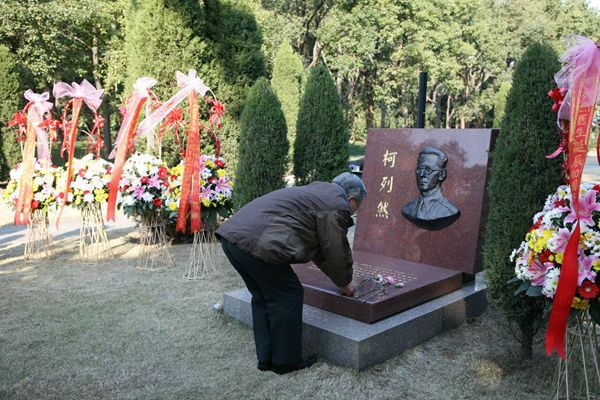 In Chongqing they visited the former residence of Zhou Enlai, Meiyuan and the Red Crag Village. They were very excited and happy when they saw for themselves the places where their father had once been. During the visit, they made detailed notes and took many pictures. 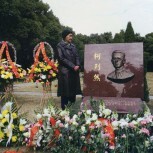 They said that after seeing the places where their father and other international friends had fought against the Japanese aggressors side by side with the Chinese people under extremely hard conditions, the whole family felt proud of their father. 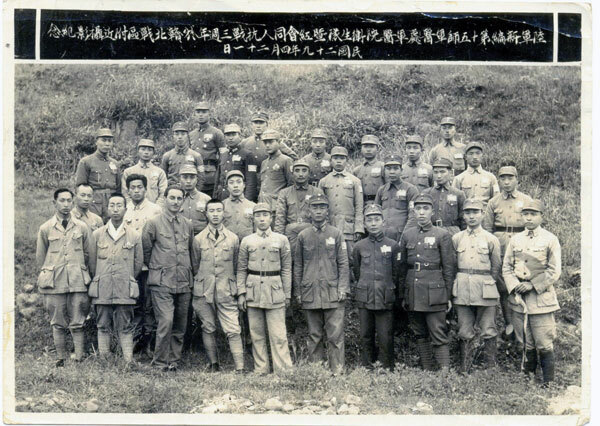 On seeing the old photos of Zhou Enlai at his former residence and Meiyuan, they seemed to see their father talking with Zhou Enlai. 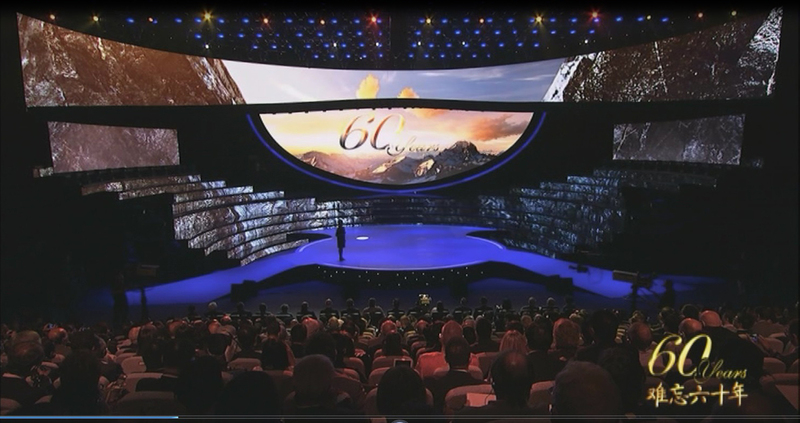 Tania said that Yunnan was the place where her father had worked for two years. At that time he was working under very hard conditions in the border area between Yunnan and Myanmar. At that time yellow fever was spreading in the area and her father got infected and his life was in danger. 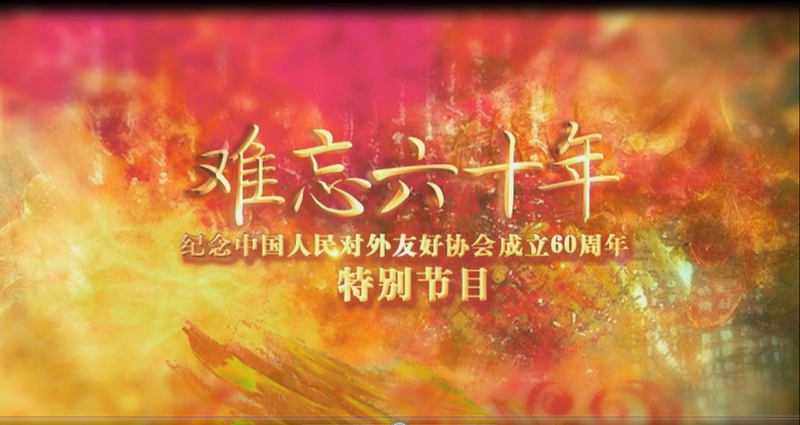 Despite his own illness, he continued to help the Chinese people to set up medical teams and fought against the pestilence together with the Chinese people. 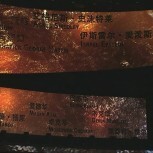 After recovery, he went to many places of Yunnan. 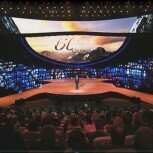 Tania said, in his lifetime he often talked with us about the places he had been to. This time I am amazed and deeply impressed when seeing that Yunnan is developing so fast. From this we also see the wisdom of the Chinese leaders, Tania added. 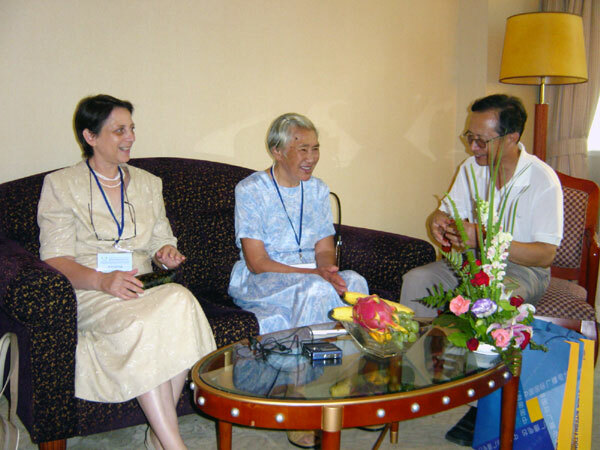 In Shanghai, Iancu’s son and daughters met Nely Clejan, widow of their old friend Bucur Clejan. When they met again after having parted for more than a decade, all sorts of feelings welled up in their hearts. With happy tears in their eyes, they hugged each other. Recalling the past, they felt as if they had returned to the time when their parents were still alive. They talked about the interesting episodes in their childhood as if all these things had just happened yesterday. 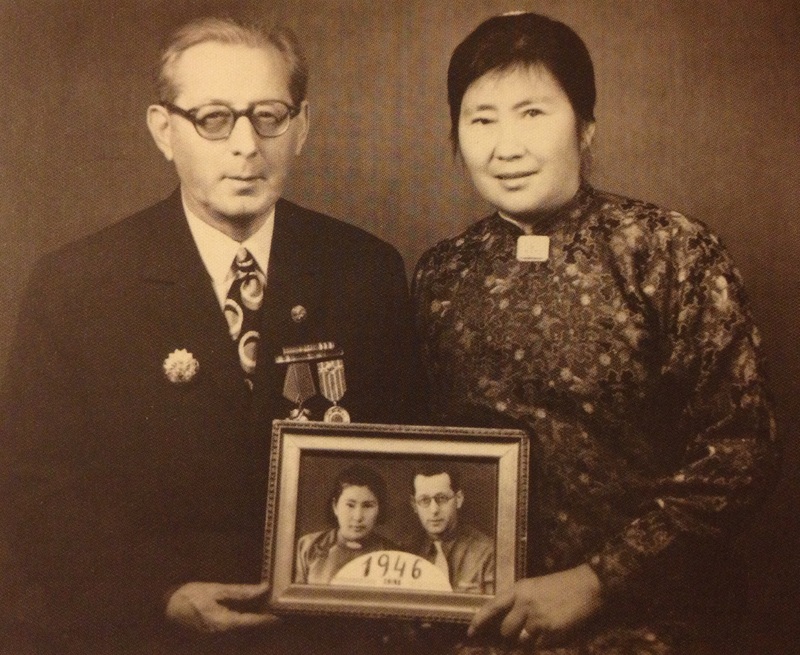 Iancu’s son and daughters brought precious gifts from the United States, Canada and Romania to their Chinese auntie. 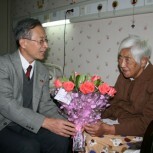 Nely Clejan presented them Chinese arts and crafts in return. When visiting the Pudong New Area in Shanghai, Tania said, before coming to China, we have learnt something about Shanghai from our friends. But when seeing it for ourselves, we still feel greatly surprised. Seeing for oneself is better than hearing it from others. 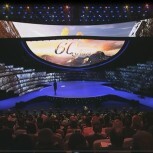 The development of Shanghai is beyond our expectation. As an architect, I know that the construction of Pudong must have a good planning. Without the central government’s overall plan of reform and opening up, today’s Shanghai would not have been possibly built. 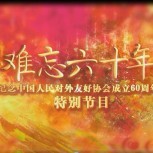 The development of Shanghai is a miracle. 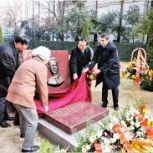 Iancu’s eldest, third and fourth children who have settled down in other countries also praised highly the development and changes of Shanghai. Iancu’s son Andrei was very much interested in Pudong and intended to seek cooperative partners in Shanghai.